Waitangi Day commemorates a significant day in the history of New Zealand. 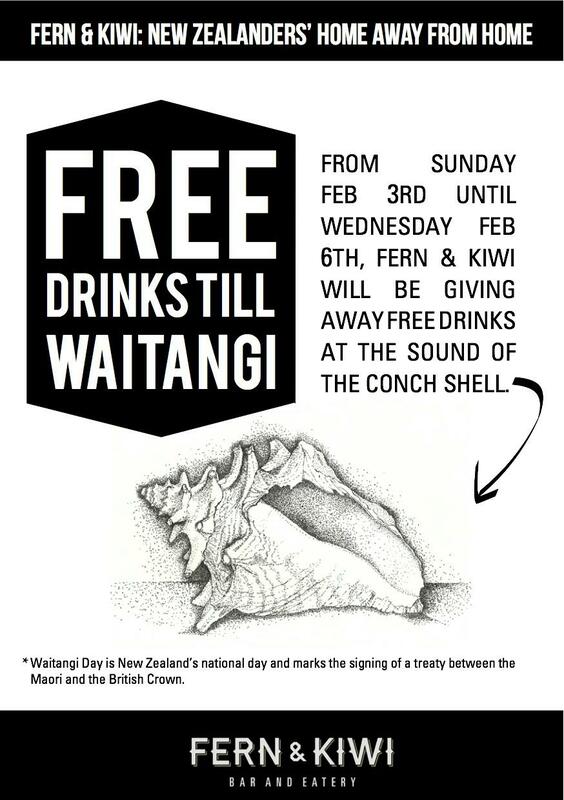 It is a public holiday held each year on 6 February to celebrate the signing of the Treaty of Waitangi. New Zealand's founding document in 1840. So what better way to celebrate it than at Fern & Kiwi. See picture below for details.